Kakum National Park is located in the coastal environs of the Central Region of Ghana. It's about 30 minutes drive from Cape-Coast. 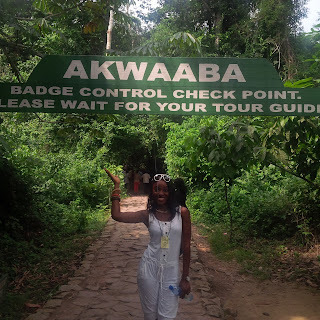 It opens from 8am to 4pm and the gate fee is about 50 cedis (as at when I visited, could be subject to change). It's a beautiful forest with very tall trees. 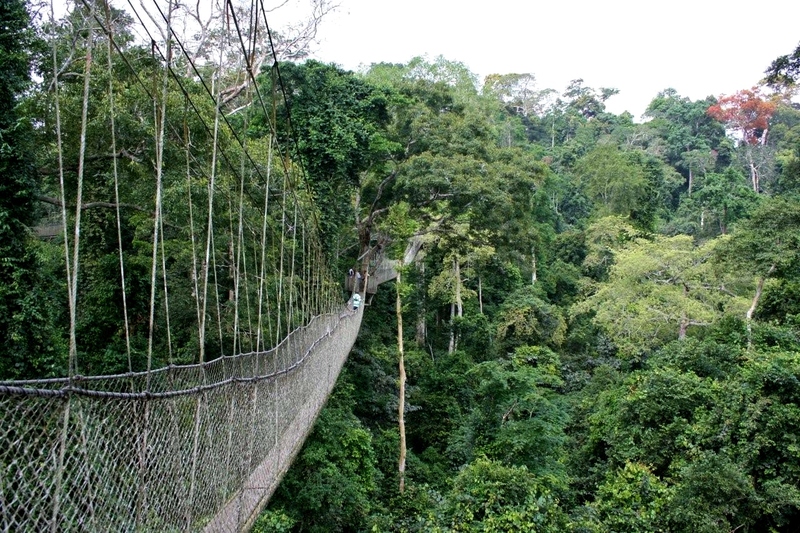 It has a canopy walk way which is about 3.50 metres(1.150ft) long and connects 7 tree tops that provides access to the forest. Depending on the time you visit, you may get to see Diana Monkeys, Giant Antelope, Elephant, and you will also get to hear different species of birds sing. Present there, are delightful Tour Guides who after dividing you in groups will be nice enough to answer your questions (yes!!! 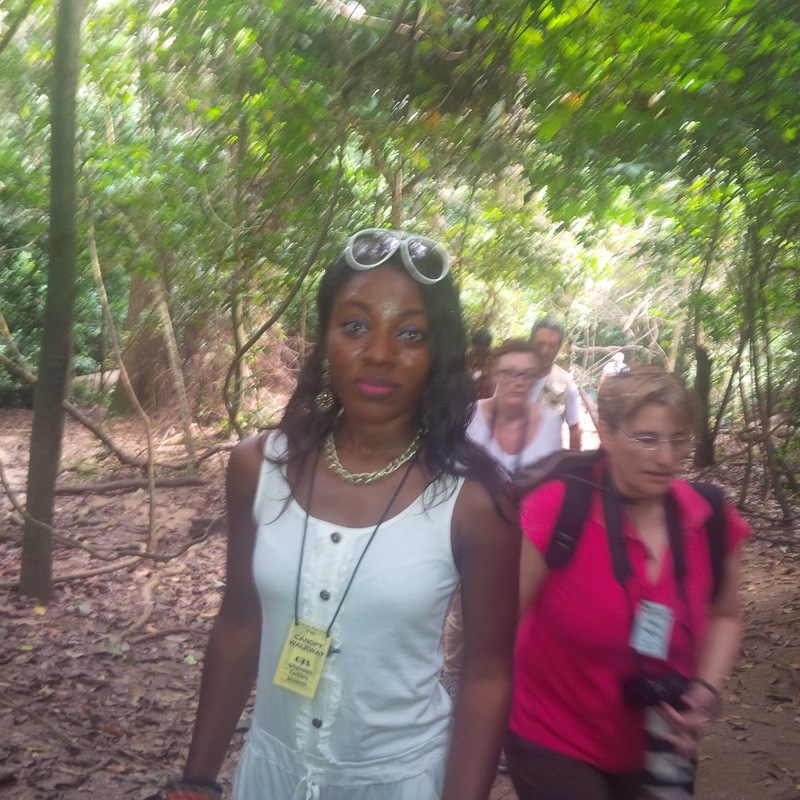 you will definitely have questions to ask) while walking you through the forest. there is need to be careful so those ants don't make you cause a scene. 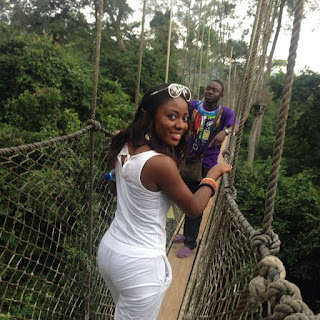 The forest walk is interesting and the canopy walk is so...AMAZING! 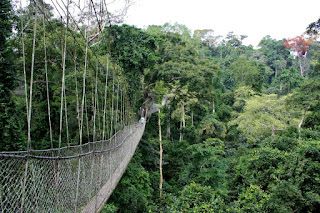 If you intend to visit Ghana on a short visit or holiday and you love adventure, trust me, this beautiful natural tropical forest is a place to be. 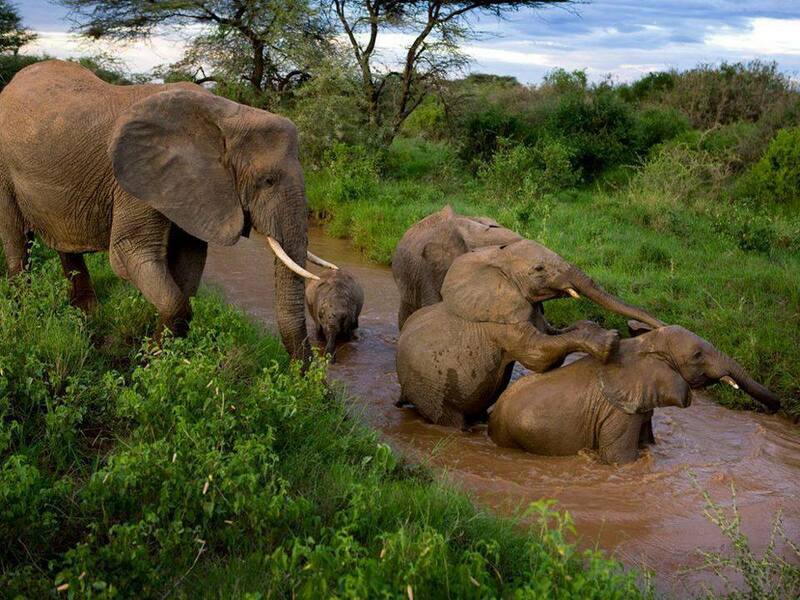 I will recommend you visit on a week day as it gets really busy during the weekend. Remember to wear good shoes when taking the walk and it is advisable to have a bottle of water with you at least. You will need it. There is a section where fresh coconut fruits and other drinks are sold and there is this other lovely section where they sell beautiful and very affordable hand-made souvenirs that you can get your friends/family(Africans are very creative- trust me). Every moment I spent in this forest was extremely amazing, from it peaceful atmosphere to the sound of birds and finally the anxiety all over me while climbing the bridge(Yea, I climbed the whole 7!...can you beat that?). 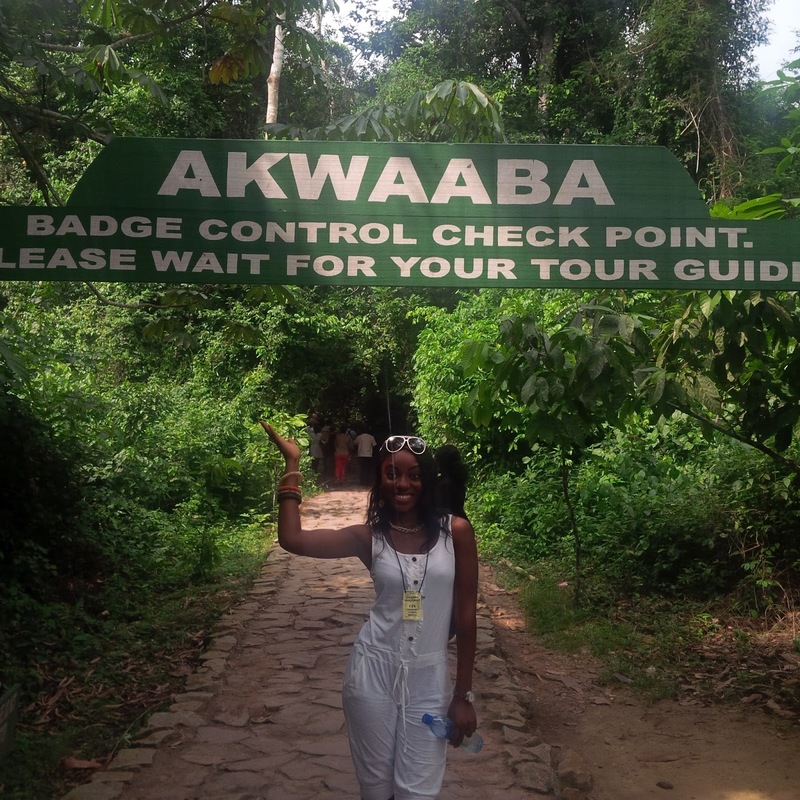 Kakum National Park is a must visit if you love adventure!! !